"It would be a godsend if the Church would suffer persecution today; she hasn't suffered it for hundreds of years. She is growing rich and lagging behind. Going back." 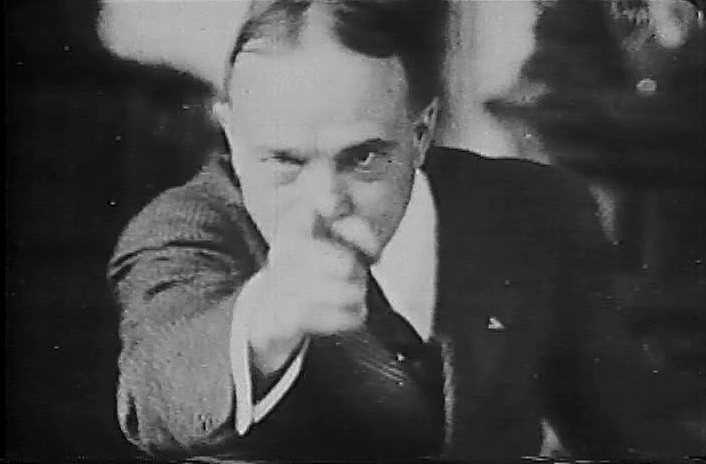 Billy Sunday galvanized religion into an active force against social evils, especially the vile alcohol industry, preaching a strange mixture of humor and Hellfire that made his listeners take notice. 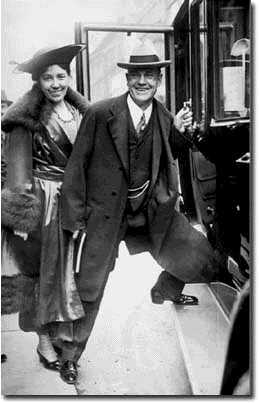 Thank God for Billy Sunday! 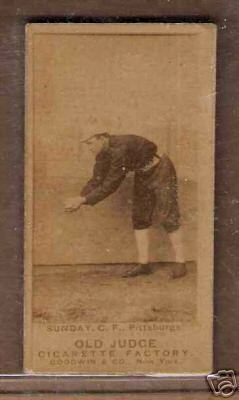 Click Here For Billy's Baseball Stats! 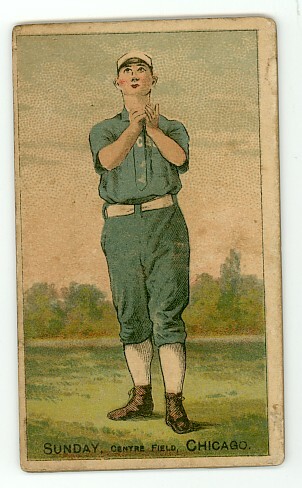 Old Judge Cigarettes (Please keep in mind that Billy Sunday wasn't a Christian yet. Cigarette smoking is a disgusting addiction of the heathen world). "Come on, you dog-gone, bullnecked, beetlebrowed, hogjowled, peanutbrained, weaseleyed fourflushers, false alarms and excess baggage! ..."
This passage is taken verbatim from a sermon given by the American evangelist Billy Sunday, on May 14th 1916, at the University of Kansas. 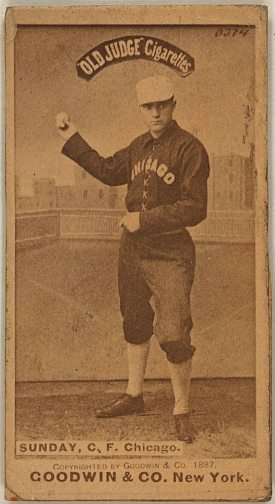 William Ashley "Billy" Sunday (1862-1935) was a popular professional baseball player during the 1880s and then the most celebrated and influential American evangelist in the early 20th century. 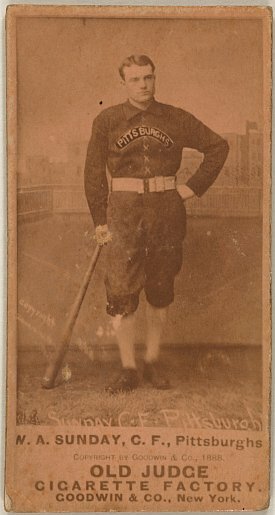 Born into poverty near Ames Iowa, Sunday spent some years in an orphanage before taking a series of odd jobs in small Iowa towns, while developing his athletic skills. 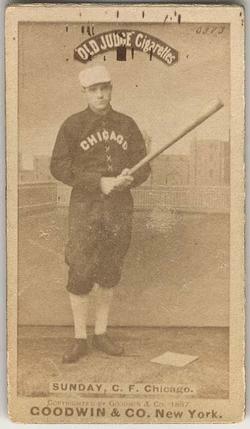 His exceptional speed led him to play major league baseball for eight years with the Chicago White Stockings. 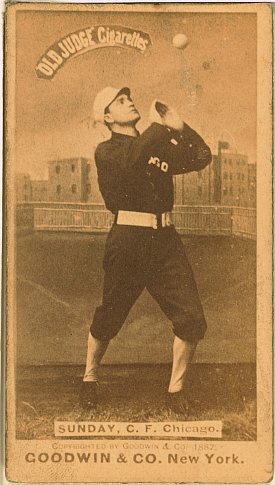 Converted to evangelical Christianity in the 1880s, Billy Sunday left baseball for the ministry.